The goalkeepers are the only players allowed to touch the ball with their hands or arms while it is in play and then only in their penalty area. Outfield players mostly use their feet to strike or pass the ball, but may use their head or torso to strike the ball instead. The team that scores the most goals by the end of the match wins. If the score is level at the end of the game, either a draw is declared or the game goes into extra time and/or a penalty shootout depending on the format of the competition. The Laws of the Game were originally codified in England by The Football Association in 1863. Association football is governed internationally by the International Federation of Association Football (FIFA; French: Fédération Internationale de Football Association) which organises a World Cup every four years. 101 Great Goals - "Football (soccer) highlights, goals, news, videos amp; clips." A beginner's guide to the World Cup 2018 - The Guardian. Assist (football) - in association football, an assist is a contribution by a player which helps to score a goal. Ballon d'Or - (1956–2009). Often referred to as the European Footballer of the Year award, was an annual association football award. It was presented to the player who had been voted to have performed the best over the previous year. CONMEBOL - the South American Football Confederation the continental governing body of association football in South America and it is one of FIFA's six continental confederations. Deloitte Football Money League - since 1998. "We profile the highest revenue generating clubs in world football." Ranking of football clubs by revenue generated from football operations. It is produced annually by the accountancy firm Deloitte and released in early February of each year, describing the season most recently finished. Diario AS - Spanish daily sports newspaper, concentrating particularly on football. FIFA Ballon d'Or - since 2010. Association football award given annually to the male player who is considered to have performed the best in the previous year. It is awarded based on votes by coaches and captains of international teams, as well as journalists from around the world. FIFA | FÉDÉRATION INTERNATIONALE DE FOOTBALL ASSOCIATION - since 1904. The international governing body of association football, futsal and beach soccer. Football Leaks - since 2015. Website that reveals transfer fees, wages and contract information about famous footballers. The website has been described as the football version of WikiLeaks. FOOTBALL RICH LIST 2009/10 - the full 100. FOUR FOUR TWO - the shamelessly passionate football site. Latest football news, blogs & forums. GOAL.COM - "Football News, Football Scores, Football Transfers, Transfer News, Transfer Rumours, Premier League News." Handcuffs, pitch invasions & fame: life as PelÉ's bodyguard in the 70s - The Guardian. Hooliganism - disruptive or unlawful behavior such as rioting, bullying, and vandalism, usually in connection with crowds at sporting events. Lionel Messi Is the Highest-Paid Soccer Player in the World - "Here's How He Makes and Spends His Millions." LIST OF ASSOCIATION FOOTBALL CLUBS - Wikipedia. MAJOR LEAGUE SOCCER - the top-flight professional soccer league based in the United States and sanctioned by United States Soccer Federation. Roligan - nickname for a supporter of the Danish national football team. "Roligans" are noted for being the opposite of ultras, i.e. calm, quiet, well-mannered supporters of their team which shuns unsportsmanlike behavior or violence. This behavior is the exact opposite of that exhibited by hooligans. The term roligan is a pun based on the word rolig which means "calm" in Danish. Russia 2018 World Cup: the complete guide to all the stadiums - The Guardian. The Football Rich List - the managers. UEFA | UNION OF EUROPEAN FOOTBALL ASSOCIATIONS - The official website for European football." UEFA CHAMPIONS LEAGUE - since 1955. Annual continental club football competition organised by the Union of European Football Associations (UEFA). Introduced in 1992, it replaced the European Champion Clubs' Cup, or simply European Cup, which had run since 1955. WEMBLEY STADIUM - Wembley Park, in the Borough of Brent, London, England. United States Soccer Federation - since 1913. The official governing body of the sport of soccer in the United States. video assistant referee (VAR) - football assistant referee who reviews decisions made by the head referee with the use of video footage and a headset for communication. In 2018 VARs were written into the Laws of the Game by the International Football Association Board (IFAB) following trials in a number of major competitions. A.C. Milan - founded in 1899. Borussia Dortmund - founded in 1909. Chelsea F.C. - founded in 1905. FC Barcelona - founded in 1899. 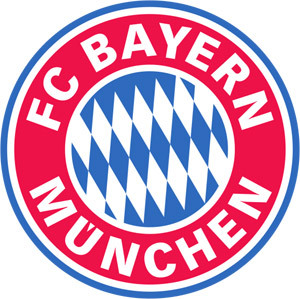 FC Bayern Munich - founded in 1900. Manchester United F.C. - founded in 1878. Paris Saint-Germain F.C. - founded in 1970. Real Madrid C.F. - founded in 1902.
soccer.com - since 1994. "Soccer Cleats and Shoes, Soccer Jerseys, Soccer Balls, Goalkeeping, Shin Guards, Socks." WILSON - "A Force on the Field." List of FIFA World Cup finals - Wikipedia. 2018 FIFA WORLD CUP RUSSIA - June 14 - July 15. AFRICA CUP OF NATIONS - since 1957. Copa AmÉrica - since 1916. Known as South American Championship, is an international association football competition contested by the men's national teams of the members of CONMEBOL. One of the world's most widely viewed sporting events. COPA DEL REY - annual cup competition for Spanish football teams. El ClÁsico - since 1902. The name given to any football match between Real Madrid and FC Barcelona. FIFA World Cup - the championship has been awarded every four years since the inaugural tournament in 1930 (except in 1942 and 1946). UEFA CHAMPIONS LEAGUE MATCHES - since 1955.